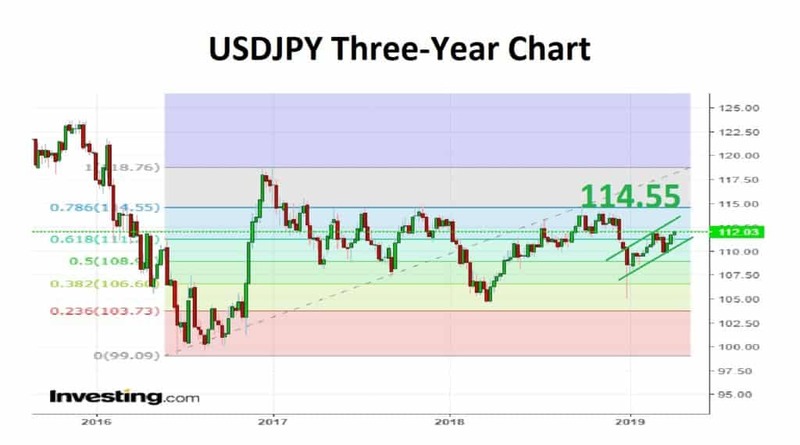 USDJPY broke above the 112 level this past Friday and in so doing printed a month high at 112.10. Should we be reading this as a signal that risk appetite across the market is improving? To add some credence to such a view one should note that although equities retreated as the week began, they staged a rebound on Friday. In so doing they were not so far from 6-month highs. There are reasons to be cautious as talk of an economic slowdown is still doing the rounds There’s been a lot of talk about trade tensions between the U.S. and China not being resolved and U.S./EU relations are far from cordial… then of course there is still Brexit to deal with. However, one must note that many investors are building a sense of growing optimism as JP Morgan’s Q1 earnings beat forecasts which gave a lift to financial stocks even though Wells Fargo missed as it lowered net interest income guidance. U.S. oil and gas shares were booking solid gains as they were chased higher following a $33 Billion cash and stock bid for Anadarko by Chevron. Walt Disney soared after a most positive investor day that focused on the Disney+ streaming service. It may have to wait a few more years before all its products can be screened exclusively, but the group released a very ambitious 2024 subscriber target. So, the question to be asked is whether trend has become settled so that USDJPY can make a print of 114 before 110? 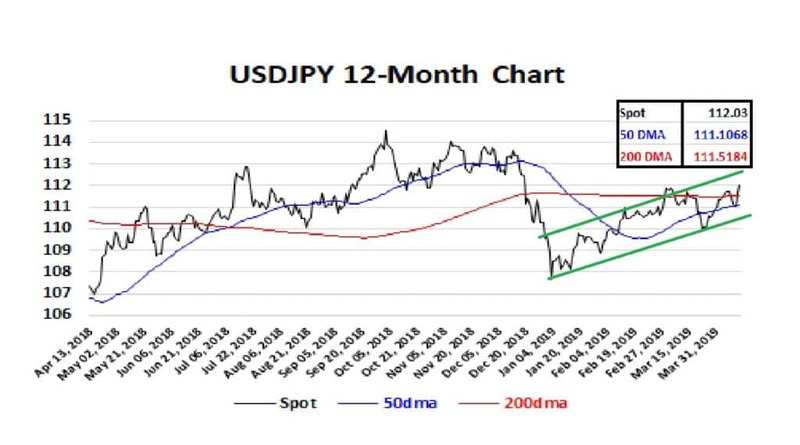 The 12-month chart shown below reals that spot has broken above the key moving average metrics and all bar one of the technical sentiment measure from one-minute to one-month all read “Strong Buy”. I am looking for the bullish trend that began in January to continue. The market may look at the comments from Fed President Bullard who thinks the March rate hike marked the end of policy normalisation and favours removing the word “patient” from the policy statement because it suggests a tightening bias. However, Japan is hardly in a shape for the Bank of Japan to start cranking up its own rate structure. The Japanese economy advanced 0.5% QoQ in Q4 2018, stronger than the preliminary estimate of a 0.3%; recovering from a downwardly revised 0.6% contraction in Q3. Japan’s consumer price inflation stood at 0.2 percent year-on-year in February 2019, unchanged from the previous month’s 15-month low and below market expectations of 0.3%. The Bank of Japan’s Tankan index for big manufacturers’ sentiment fell to a two-year low of 12 in the first quarter 2019 from 19 in the previous three-month period and below market consensus of 14. I am looking to be long the Dollar versus the Yen with a target of 114.55.